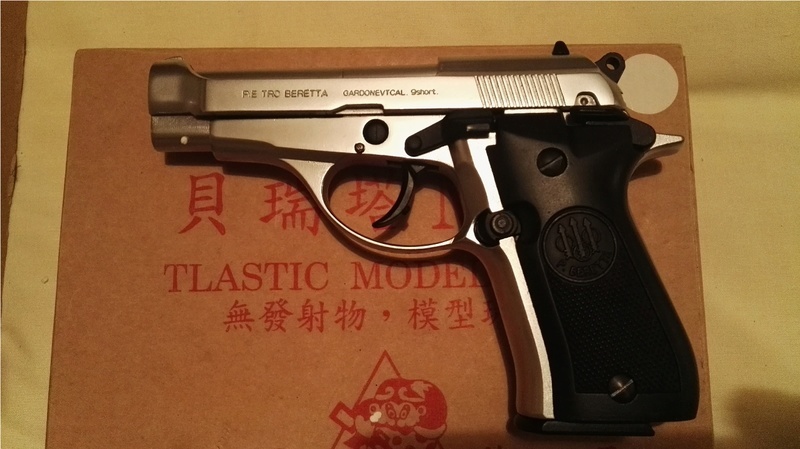 Wa Shan Beretta M84, the good thing about these models is they are made of metal, barrel as well so less chance of breaking. Of course the metal is not strong so you still need to take care but its still better than plastic. This one goes full auto at times but i dont really mind that as i like full auto. Unlike other modelguns i find that the Wa Shan fire better if you dont give the carts a clean after firing, i normally give every round a quick clean with a q tip but the wa shan rounds dont seem to need that and blow back gets better the more you fire, which is good. Marushin M84 rounds will also work in this model and work a bit better than the was shan as the marushin have seals i them the wa shan do not.